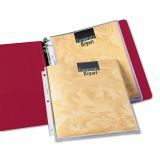 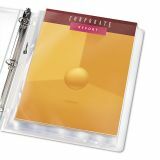 Durable material holds your inserts securely and is tough enough to withstand frequent use in your three-ring binder. 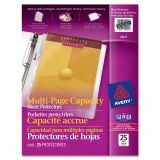 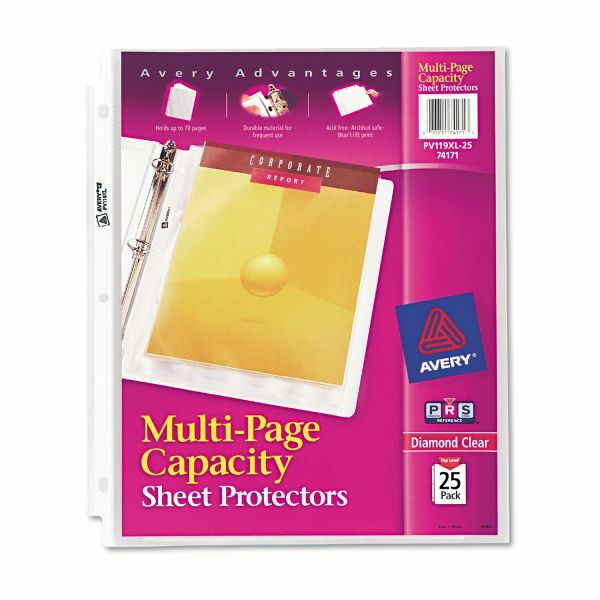 Avery Multi-Page Top-Load Sheet Protectors, Letter, Heavy Gauge, Clear, 25/Pack - Sheet protectors hold up to 50 letter-size sheets. 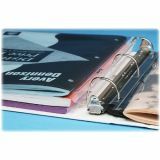 Offer an easy top-loading design. 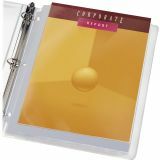 No need to punch sheets. 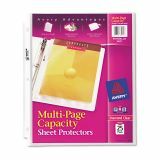 Perfect for magazines, catalogs, and other multipage documents. 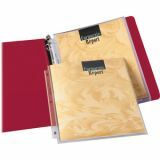 Durable material holds your inserts securely and is tough enough to withstand frequent use in your three-ring binder. 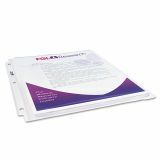 Heavyweight, nonstick polypropylene won't lift print off inserts.